For Mark Roberts’ Use: If you’re like many people, you might be feeling a bit of anxiety over filing your federal income taxes this year. This is especially true for those who have heard what seems like bad news regarding certain deductions. If you’re accustomed to claiming all of your state, local, and property taxes as a valuable deduction, you might have felt dismayed to learn that a new limit has been placed on that allowance. But before you get too worried over the situation, let’s clarify the entire situation with regard to the recent tax code changes. Some of you might find that this new deduction limit won’t affect you as drastically as you feared. First, let’s review the limit on property tax deductions. Yes, it applies to state taxes, along with local and property taxes, and the limit is $10,000. For those in low-tax states this is a roomy limit, but those of you with higher state taxes or property taxes are feeling understandably concerned. And, if you’re married filing jointly, the deduction splits to $5,000 for each of you. 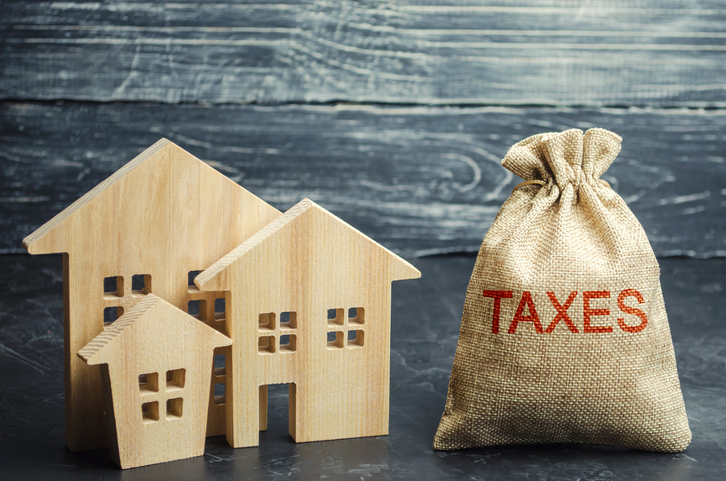 For many taxpayers, their itemized deductions (including the property tax deduction) don’t exceed their standard deduction. Therefore, it is almost always better to claim the standard. Remember: your property tax (and other deductions) only matter if you choose to itemize your return. So, before you get too anxious about this new property tax deduction limit, add up all of your itemized deductions and compare the total to your standard deduction amount. For many, the standard deduction will end up being the better deal, anyway. But of course, we urge you not to make any decisions regarding your income tax return without first consulting a tax professional. We can only provide general information and advice here in our blog, but some very unique situations will differ from the average. Remember to consult your tax professional about the new tax rules, and in the meantime, give us a call if you have any other questions.